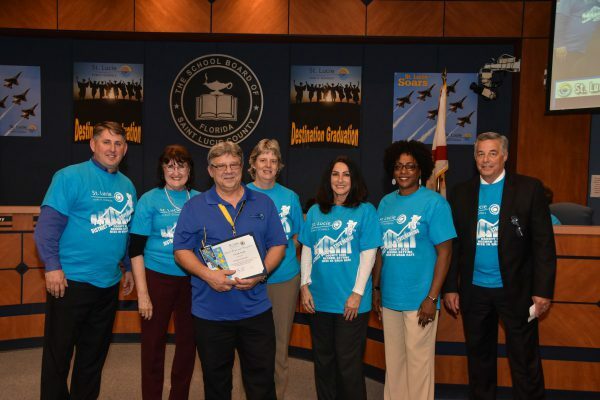 St. Lucie Public Schools Superintendent E. Wayne Gent and Board Members recognized this month’s Star Award recipients and honored their outstanding service to students and staff. Congratulations are extended to Mr. Thomas Giananni from Facilities and Maintenance, Mr. Artavious Carter from Forest Grove Middle Middle, and Ms. Melanie Tate from Lawnwood Elementary. 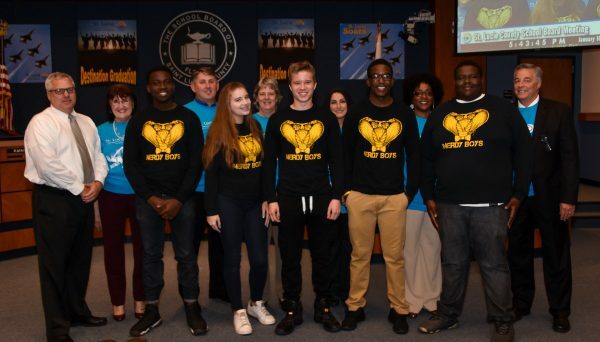 STEAM Rap Battle high school and middle school winners received special recognition at the January School Board Meeting for their championship performances at the 4th Annual Rap Battle. Fort Pierce Central High School and Allapattah Flats K-8 hold titles as this year’s top performers. Northport Students Participate in Writing Event to Celebrate MLK!